Coffee Tradition Coffee Tradition – (Addis) Fortune – The Largest English Weekly in Ethiopia! 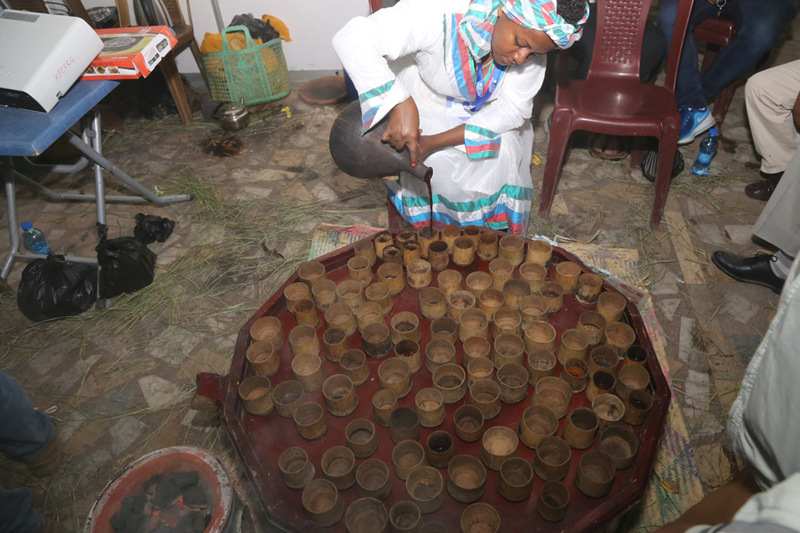 A traditional coffee ceremony is being displayed from the southwestern region of Ethiopia. It employs a unique way of drinking coffee from a wooden container, instead of the more common small coffee cups called tsini. Different types of cultural materials and products of agriculture were displayed at the Sixth Federal Cooperative Agency Exhibition & Bazaar on February 8, 2019.